--Colin D. Watt says he's lucky to be alive after an avalanche in Whistler swept him into a tree well and buried him in snow Saturday. The experienced snowboarder and two friends ventured into the area under Whistler's Peak to Peak Gondola, which had pristine powder that morning. It was also out of bounds. Watt was caught in an avalanche and pushed 150 feet down the slope and into a tree well. He says it was the worst thing he had ever experienced in his life. To read more, click here. --Two new ice climbs have been added to the Peace region of British Columbia. To read more, click here. --A Spokane climber was killed in Red Rock Canyon on Saturday. It appears that his party of three had completed a climb of Johnny Vegas (5.7, II) and were in the process of rappelling the Solar Slab Gully when 25-year-old Brian William Tracy was killed in a rappelling accident. It has been reported that he fell 80-feet, but there is no info on what lead to the fall. There is limited climbing related information in the media, but here's a news report. 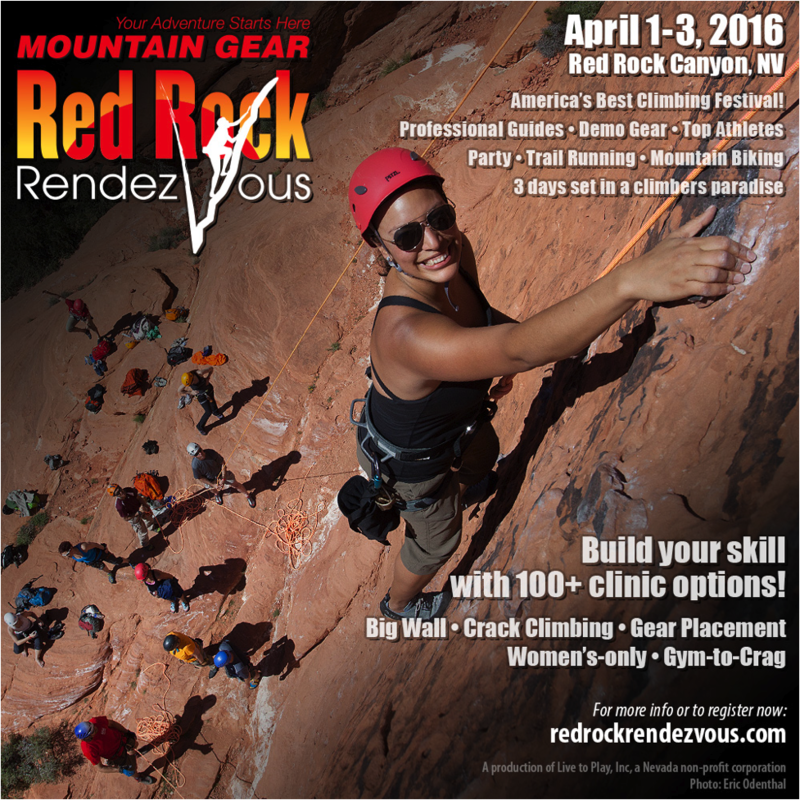 --Red Rock Rendezvous will take place from April 1-3. Join American Alpine Institute guides for three days of fun in the sun just outside of Las Vegas. To read more, click here. --Maybe it’s too soon to label the nearly 800,000-acre Joshua Tree National Park as crowded – but its popularity continues to grow as the park hit a record two-million visitors mark this week. To read more, click here. --Zion National Park is getting a new plan to manage the thicker flow of visitors. The National Park Service is planning to develop a new Visitor Use Management Plan, officials said this month. "The VUMP will address visitor and commercial uses, visitor experience and capacity, and resource conservation," Aly Baltrus, Zion's chief of Interpretation and Visitor Services, said in an email to The Spectrum newspaper in St. George. "Through the planning process, the park will gather data and share that information with the public." To read more, click here. --The new owner of Purgatory is a very hands on individual and is in the process of returning the ski resort to its roots. To read more, click here. --Stein Eriksen, the man known as the founder of modern skiing and a legendary alpine skier, died at the age of 88 at his home in Park City on Sunday. To read more, click here. --There have been no new developments in the search for Bart Pickard, the 65-year-old Corvallis man, who has been missing since he was seen at Montana's Lost Trail Powder Mountain a week ago. Ravalli County Search and Rescue called off the search after two days of searching. To read more, click here. --John Ellison -- the founder of Climbers Against Cancer -- started the organization after his own diagnosis with prostate cancer in 2011. John died from his illness on December 27 at the age of 52. To read more, click here. --Are "Dude Grades" a thing? In other words, are climbing grades innately sexist? Alan Tonnies Moore, an author for the Moja Gear blog, thinks so. Read his piece, here. --A real estate investment trust that's selling more than a dozen ski resorts from Maine to California won't meet its deadline of completing the transaction by year's end. CNL Lifestyle Properties, which is based in Orlando, Florida, has sold its senior housing portfolio, a dozen marinas, four attractions, and the Mount Washington Hotel and Bretton Woods ski area in New Hampshire. But it continues to seek buyers for 15 additional ski resorts, remaining attractions and marinas, and says it will update shareholders in the first quarter of the new year. To read more, click here. I became aware of Andy Kirkpatrick some years ago when I was an avid reader of every climbing magazine out there. Kirkpatrick has written for the American magazines Climbing and Alpinist as well as for the UK magazines Climb and Climber. His articles were always engaging, often funny, and even more often, terrifying. 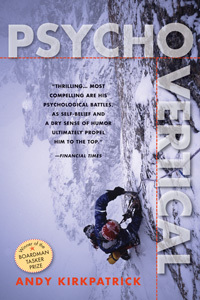 Recently Kirkpatrick's award winning autobiography, Psychovertical, made it's way across the pond and was reprinted by Mountaineers Books. And like his shorter work Kirkpatrick's stories from the mountains of his life are always entertaining and enlightening. I don't believe in God, and intelligent design is only for those who know nothing about either, but when I stand beneath El Cap I always have second thoughts. How could nature be so brash and showy? And if there is a God, he must be an American, or the road wouldn't be so close to this glorious wall. Kirkpatrick frames the story of his life around a solo climb of the Reticent Wall (VI, 5.9, A5) in Yosemite Valley, an incredibly committing and dangerous climb. The book is written as if from the climb. Kirkpatrick tells us the story of his life and his obsession with high end alpine climbing in a series of vignettes, always returning to the pinnacle of his climbing career on the solo climb of the Reticent. For breakfast we had a big tin of fruit to share, and every day he would eat his half, then in the same motion as he passed the tin to me, pull out a paper bag, pull down his pants, and have a dump. It's not surprising that more often than not I would lose my appetite, the sight, smell and sound unconductive to keeping a mouth full of pineapple and grapes. After an hour we'd dug a coffin-shaped cave, just big enough as long as we left almost everything outside. I was putting the finishing touches to our temporary home, scraping any irregular lumps in the roof so water wouldn't build up on them and drip onto us, when, as I was leaning against one wall, my hand shot through and I fell onto my shoulder. I rolled away and realized we'd dug through into the side of a crevasse. It was so late that I just filled in the gap and climbed back out into the storm. I said to Aaron that he could sleep on that side, neglecting to tell him why. He was lighter anyway. And while the book is chalked full of intermittent intensity and comedy, the heart of the book is in Kirkpatrick's obsession with high end climbing and the guilt he feels when he leaves his family for climbing trips. This is a theme that many climbers deal with. Most of our spouses understand that we need to climb in order to be who we are, but our kids don't understand that. Instead, they just see us as not being there. Kirkpatrick describes significant anguish around his lifestyle and how he feels when he's in the mountains that he should be home with his family; and conversely that when he's at home with his family, he wants to be in the mountains. I thought about talking to Ella, imagined her voice, what she would say. She would ask when I was coming home. I often wondered about writing her a letter, to tell her who I was, why I climbed, and why I left her, even though she was the greatest gift I had ever been given. But every time I started, my words sounded like the excuses they were. The only thing I had to give were the photos I had taken of her, boxes full. Through them you could see my love for her. And her love for me. One day, I would write a book and hope she would then understand that fathers are only children too. 1) Ski with a partner. There were two tree-well deaths this week. To learn more about how to avoid this danger, click here. 2) Stay found. There are two missing people out there right now, and a few more that were missing but that have been found. Make a tour plan. Stick to the plan and carry a personal locator beacon to call for help in an emergency. 3) Double check your systems before lowering or rappelling. There are a lot of accidents and fatalities from this. If you make a transition, check the system by weighting it while you're still clipped in. If there's a problem, you should notice it. 4) And finally, use common sense in avalanche terrain. Know how to use your self-rescue equipment and ski with those who understand how to use it too. Pick appropriate routes for the avalanche report and don't deviate. --The search for a missing backcountry skier has been suspended due to dangerous conditions and may not resume until Saturday, search-and-rescue officials said. It's already been four days since 43-year-old Monty Busbee of Maple Valley went missing near Snoqualmie Pass. And it could be three or four more days until the conditions moderate enough to allow the search to continue. To read more, click here. --At the time of this writing, a teenage snowboarder was still missing on Mt. Washington on British Columbia's Vancouver Island. To read more, click here. --A skier died Saturday afternoon after falling into a tree well at Snoqualmie Pass. According to the Kittitas County Sheriff’s Office, 50-year-old Kelly Luna was skiing in the Silver Fir area when he separated from his son and two other adults to ski through a wooded area. To read more, click here. To learn about how to deal with tree wells, click here. --North Shore Search and Rescue volunteers spent hours Sunday night looking for a backcountry skier lost in an area at high risk for avalanches. The night ended successfully for the 42-year-old Vancouver man and the team of 23 people who helped find him in a gully near the Cypress Mountain ski area. To read more, click here. --On December 15th the Inyo County Sheriff’s Office received notification of a deceased 18-year-old female at Outpost Camp, which is a stopping point on the route to Mt. Whitney. To read more, click here. --Finally something good to report on the California snowpack. It is currently at 121% of normal. To read more, click here. --An in bounds avalanche was triggered by a skier in the Dragon’s Back area of Mammoth Mountain ski resort in California on Dec. 14th, 2015. Another skier below was caught in the avalanche and rode in it for a few hundred feet. This area was closed at the time of the avalanche. To read more, click here. --The Bureau of Land Management Bishop Field Office is seeking public comment on proposed fee increases at campgrounds in the eastern Sierra. The BLM is proposing to change the fee strategy and initially increase fees for the Tuttle Creek, Goodale Creek, Horton Creek and Pleasant Valley Pit campgrounds in Inyo County and the Crowley Lake campground in Mono County. To read more, click here. --A 28-year-old woman fell to her death on Bell Rock in Sedona on Monday evening, according to Yavapai County officials. To read more, click here. 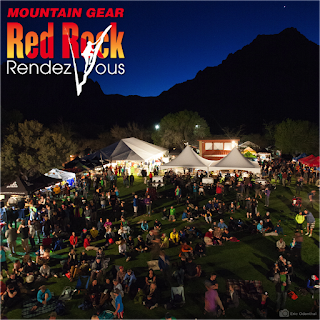 --The Red Rock Rendezvous is coming. To learn more, click here. 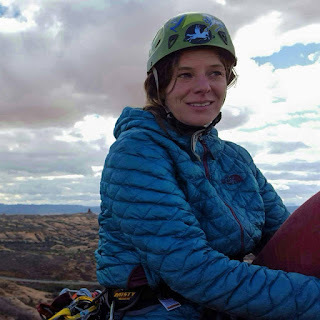 --Jennifer Kendall "Kayah" Gaydish died in a 50-foot fall while climbing at Hidden Valley, Virginia on Sunday, December 20. She was a prominent North Carolina climber, conservationist, board member of the Carolina Climbers' Coalition, and a single mother, with two teenagers. To read more, click here. To learn about the cause of the accident, click here. --A 25-year old female skier was killed in an accident at Jackson Hole Mountain Resort on Tuesday. It appears that this individual was also killed in a tree well. To read more, click here. --Officials have confirmed that 42-year-old Snowbasin, UT ski patroller Mike Erickson was caught in an avalanche and injured while performing avalanche control at Snowbasin on Tuesday.. Mike pulled his airbag and was partially buried when the avalanche came to a stop. To read more, click here. --Winter sports is a $60 billion industry that props up 900,000 U.S. jobs, but because of climate change it could be melting away before our eyes. Since the 1960s the Northern Hemisphere has lost nearly a million miles of spring snow cover and that trend shows no signs of stopping. “Even if we stopped everything right now the warming continues for half a century, maybe more,” says Porter Fox, author of DEEP: The Story of Skiing and the Future of Snow. “We are trying to get ahead of that ball and say the trends you are seeing are only going to get worse.” If the warming trend continues unabated and the western part of the country loses between 25 to 100 percent of its snowpack by 2100, as predicted, it will reduce the snowpack in Park City, Utah, to zero and relegate skiing to the top quarter of Aspen Mountain. To read more, click here. --Speaking of Climate Change, the Cool Green Science blog has a cool assignment for citizen scientists and mountaineers. They're looking for samples from the world's glaciers above 20'000-feet to better understand glacial thinning. To learn more, click here. --The Italian newspaper La Stampa reports that three people will go to trial facing manslaughter charges for the death of Tito Traversa. In July of 2013, 12-year-old Italian climbing phenom Tito Traversa died from injuries sustained from a ground fall while climbing in Orpierre, France. 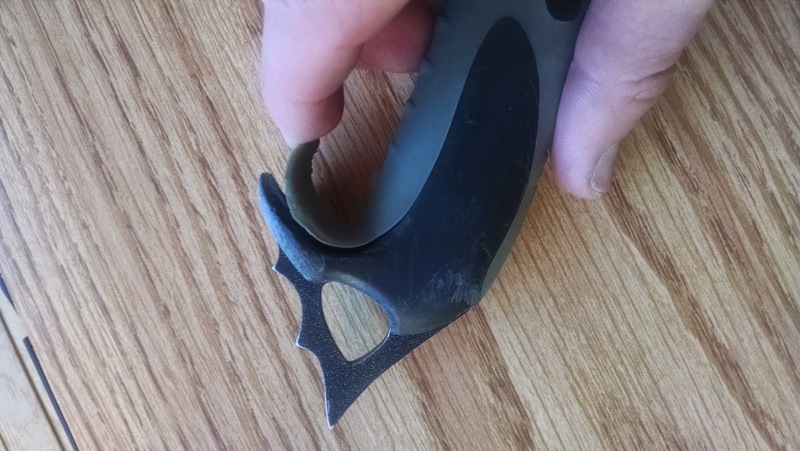 An investigation into the cause revealed that he had been climbing on improperly assembled quickdraws—specifically the improper use of a rubber keeper designed to hold the carabiner in place. Tito was under the supervision of a climbing club when the accident occurred. To read more, click here. --A Boy Scout leader was injured when he and three scouts were attacked by a black bear while exploring a cave in New Jersey, officials said. The attack, which occurred at Splitrock Reservoir in Rockaway Township, left Scout leader Christopher Petronino, 50, with bites and scratches to his scalp and legs. He was airlifted to a hospital with non-life threatening injuries. The three children were uninjured, officials said. To read more, click here. --On Tuesday, after the president's early morning gym session, President Barack Obama, his family and a few friends took on the Koko Head Crater Stairs -- a popular Hawaii hike that is so grueling, people often refer to it as the "Stairmaster from Hell" or the "Koko Head Stairs of Doom." To read more, click here. --The international ski federation is banning camera drones from its World Cup races after one of the flying objects crashed and nearly hit Austrian skier Marcel Hirscher during a slalom in Italy. To read more, click here. In the following clip, a climber demonstrates two things. First, he shows us how to tie a munter hitch on a carabiner clipped to a harness. And second, he shows us how to mule off a munter hitch that is clipped to a locker on a pre-equalized anchor. The munter-mule is one of the most useful combination's that one can employ in any rock rescue scenario. It provides the basis for load transfers and for a number of other rescue techniques. In the video, the climber refers to the mule knot as a slip knot...which it is, but the official name for what he is doing is the "mule." It is important to watch how the climber releases the mule. He never takes his hand off the break strand. I believe that the most common mistake that people make in this particular setting is that they completely let go of the break strand as they jump their break hand up the strand and closer to the hitch. When you practice, be aware of this and be careful to avoid letting go of the break strand. --A Sun Valley Idaho skier suffered serious injuries after being buried in an avalanche. It happened in the out of bounds area on the north side of Bald Mountain on Monday. The Sawtooth Avalanche Center says they're not sure of the man's condition, and his identity has not yet been released. To read more, click here. --A Nampa man who skied out of bounds and got lost at Tamarack Sunday was found safe Monday morning. According to Idaho's Valley County Sheriff's Office, 32-year-old Sean E. Stevenson was reported missing just after 11:30 p.m. after he failed to return home from skiing. Stevenson's vehicle was still in the parking lot, and his lift ticket had last been scanned at 10:35 a.m., officials say. To read more, click here. was tragically killed in an avalanche in September of 2014. --The Glacier Creek Road that accesses the North Side of Mt. Baker was damaged in this last storm cycle. It is currently not passible. --The purchase of 82 acres of timberland neighboring the Middle Fork of the Snoqualmie River will ensure more room to roam in the popular Mailbox Peak trailhead area. The land, which had been owned and harvested by local timber companies for more than 100 years, was headed toward development. Now, it will be added to the Middle Fork Snoqualmie Natural Resource Conservation Area (NRCA) owned by the state of Washington and managed by the Department of Natural Resources (DNR). To read more, click here. --The Truckee Donner Land Trust and the Access Fund are pleased to announce the acquisition and protection of a significant set of climbing areas on Donner Summit, located just west of Truckee, California. The victory is announced only eight months after going under contract and launching the Save Donner Climbing Forever fundraising campaign. To read more, click here. --The U.S. Forest Service’s Pacific Southwest Region is sharing our Wild and Scenic Rivers inventory, eligibility and classification findings for the Inyo, Sequoia and Sierra National Forests. To read more, click here. --New Mexico's Taos Ski Resort is seeing 300-million dollars in upgrades. To read more, click here. --Red Rock Canyon National Conservation Area will have to wait a while longer for its first major road upgrade in 20 years, and there are conflicting reports about the scope of the work and when it will be finished. Bureau of Land Management officials had hoped to see work begin this month on expanded parking lots and new pavement for the park's 13-mile Scenic Drive, but delays on an earlier project have bumped the start date for the new construction into next year. To read more, click here. --Vail Resorts came out with two major initiatives last week, each with the company’s employee base in mind: the EpicPromise Foundation, to support employees’ educational development and general well-being; and an employee housing program. To read more, click here. --A well known Alaskan rock and mixed climber has passed away. Eddie Phay was a pillar of the Alaskan climbing community. To read more and to see some videos of his climbs, click here. --The 2016 Mugs Stump Award Winners have been announced. To read about the winners, click here. --The Access Fund has had a mobile conservation team on the road since 2011. The organization recently announced that they will have a second team on the road starting in January of 2016. To read more, click here. --The ski patrollers at Park City Mountain Resort are scheduled to decide this week whether to unionize, a vote complicated by the merging of PCMR and Canyons Resort into a single property prior to the start of ski season. To read more, click here. --A jury will hear arguments in a wrongful death lawsuit filed by the parents of a 16-year-old German exchange student who fell head first into a pocket of loose snow while skiing at Montana's Whitefish Mountain Resort, a federal judge has ruled. To read more, click here. 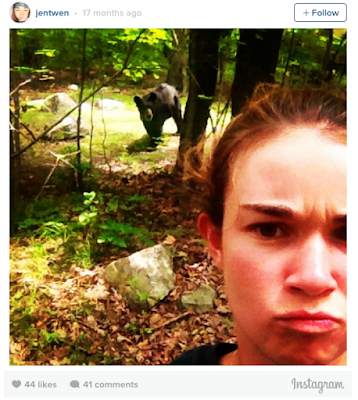 --New York Magazine has published an interesting article about the interface between Instagram users and National Parks. On the one hand, these users are bringing popularity to the parks. But on the other many people are doing irresponsible things...such as taking a picture of themselves near a bear or vandalizing something and documenting it for social media. To read the article, click here. A couple of weeks ago, we talked about waxing skis and snowboards, which requires messing around with the base of your device of choice. Since we were already in the workbench mode, I thought that we might spend a little more time talking about something that deals with skis and snowboards and also requires some workbench time. As it is December and the ice season is upon us, it's time to think about ice tools. 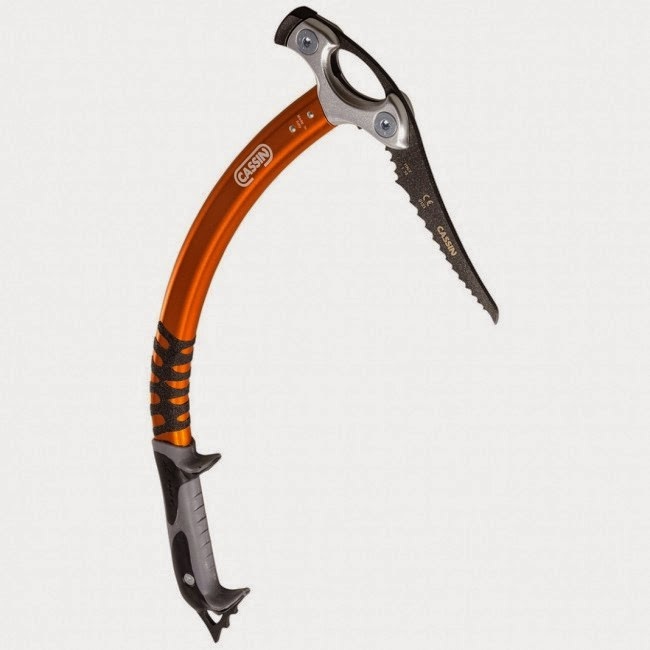 In particular, one ice tool that has slowly become one of the go-to tools for mountain guides: the Camp Cassin X-All Mountain Ice Tool. 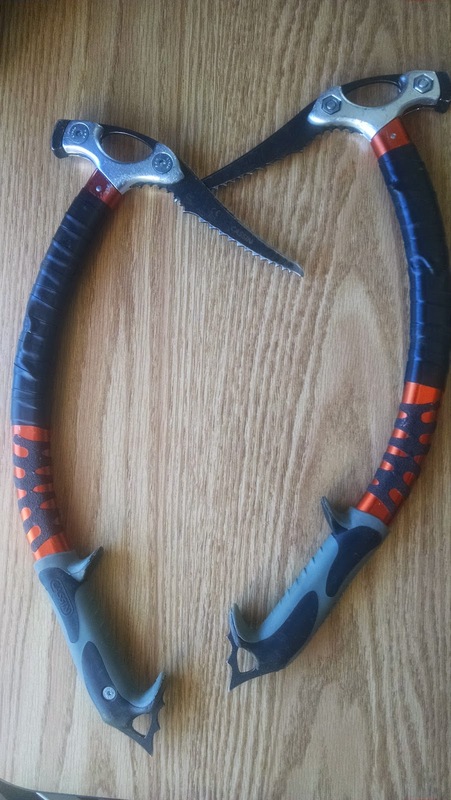 I had the opportunity to use these tools for an entire season of drytooling and ice climbing. And I was tremendously pleased. 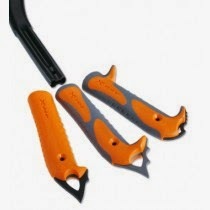 The tool is an all purpose ice and mountain tool that performs at a high standard. The goal of the tool is simple. It's job is to perform well on ice and alpine terrain and to be functional in drytool terrain. I used the tool excessively on waterfall climbs and on drytool ascents and felt that it would be hard to beat in the terrain where I operated. Obviously, a tool without a double handle like the Petzl Nomic, the Black Diamond Fusion or even the Cassin X-Dream, will not work as well in a drytooling environment. The Cassin X-All Mountain and other tools like it, have an upper grip that allows for one to match and swap hands, but the upper grip can't be used for much more than that. The double handle that some of the other models sport provide more grip options for drytool specific climbing. I found the single handle to work fine for the lower level drytool (M7 and less) routes that I like to struggle on. But I'm not a drytool specialist and many may find a double handle tool to be more legitimate for this kind of terrain. One thing I noticed right off the bat is that the shafts up near the head are very slippery. I put some sticky tape there in order to better facilitate holding the tool in a dagger position. Some people really dislike the "sandpaper tape" above the handles and I've heard of people taking this off because it messes up their gloves. I personally didn't experience that and felt the sandpaper tape above the grip worked fine. There is no doubt that I put this tool through the ringer. And there were several times when I thought I might have actually damaged it. But the only damage the tool seemed to have sustained is on the finger grip. The grip began to come apart as I finished my season. Problems with the finger grip are easily fixed. I actually felt a little dumb when I found out that this particular tool has three different grip configurations. In other words, the grip that started to wear out is easily replaced. And not only is it easily replaced, there are two other options for different types of climbing. In a quick internet search I found that several people have complained about problems with the grips. However, I also found at least one person who claims CAMP has replaced the damaged grips with new ones for free. In one final note about the grips, they are only held on with one tiny bolt. I haven't been able to find any evidence of them failing and they never came close to it with me. But I did find a couple of people online who complained about the sound of the grips on the shaft moving... I never heard anything on the tools I used. And while I didn't use the tool on an alpine route, I can easily imagine two problem with it. First, he shaft is heavily curved, allowing for nice clearance on each swing. This swing advantage comes at a price though. The curve simultaneously makes it difficult to pound pickets with the hammer or to cut out a t-slot with an adze. And second, it makes the tool harder to use in the cane position or the self-arrest position. However, if one practiced with the tool, he or she could probably make it work effectively in either orientation. Some people who drytool a lot like to take the hammer or adze off the back of the tool in order to reduce weight. This isn't possible with the X-All Mountain because the backside of the pick is held in place by the same bolt that holds the hammer/adze in place. My argument to those who would like to do this is that the tool wasn't designed to be a high-end drytooling tool, but to be more of an ice specific tool. I primarily used the tool for vertical waterfall ice climbing, and for that application, I honestly cannot imagine a better tool. There might be better tools for drytooling, but for someone who isn't a drytool specialist this tool works absolutely fine. I would strongly recommend the X-All Mountain to any who are looking for a reasonable ice tool. --The Chelan County Sheriff’s Office announced Tuesday night that it had suspended its search for a missing Portland music teacher who planned to climb Colchuck Peak in Chelan County last weekend. To read more, click here. --Authorities have recovered the body of a climber who died after falling into a crevasse on Mount Jefferson in Oregon. A combat medic with the National Guard and a climber with the Corvallis Mountain Rescue Team were lowered onto the mountain on Tuesday. The two assisted a helicopter in recovering the body of Tommy Fountain. To read more, click here. --On Saturday, Nov. 21, after a four-day search and up to fifty volunteer Search and Rescue members from across the State, Inyo County Search and Rescue (SAR) recovered the body of missing UCLA graduate student Michael David Meyers for the Mt. Whitney region. Meyers’ was the first avalanche fatality of the 2015-16 winter season. To read more, click here. --An Ohio woman who came to Los Angeles for a student fashion program died Sunday, Nov. 29, after a skiing accident at the Bear Mountain ski resort in the San Bernardino Mountains. To read more, click here. --The visitor center and the 13-mile Scenic Drive at Red Rock Canyon National Conservation Area were closed for much of the day last Wednesday because of a power outage, but both are expected to reopen Thursday. Kirsten Cannon, spokeswoman for the U.S. Bureau of Land Management in Southern Nevada, said the visitor center was closed at 8 a.m. "due to lack of power." The Scenic Drive was shut down about two hours later because of a "misunderstanding about what areas should be closed during a power outage," Cannon said in an email. 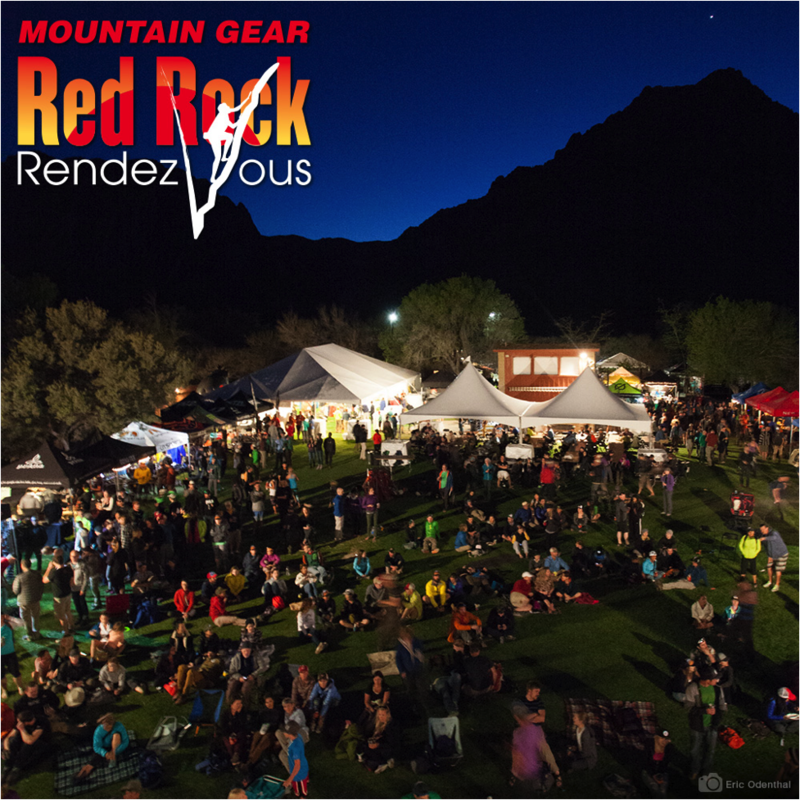 Historically, Thanksgiving Week and Weekend is one of the busiest weekends of the year in Red Rock. To read more, click here. --An iconic Joshua tree caught fire and had to be cut down this Thanksgiving weekend, according to Joshua Tree National Park authorities. A visitor reported the tree burning on the roadside within the park around 8:10 p.m. Saturday and investigators believe the fire was human-caused. To read more, click here. --An injured climber was evacuated last week from Red Rock Canyon National Conservation Area. To read more, click here. --Officials are working to find ways to mitigate crowds in Arches National Park. To read more, click here. --Two brothers survived a massive avalanche — and then a second slide — on a popular backcountry ski route Wednesday, despite the fact they both thought the other was dead. To read more, click here. --A new report finds that A hunter who was found dead in the Colorado mountains succumbed to altitude sickness. To read more, click here. --The U.S. Forest Service has approved zip lines, canopy tours, ropes courses and more trails at Breckenridge ski area as the Summit County resort ramps up plans to draw a wider swath of summer visitors. To read more, click here. --Two ice climbers were attacked by a bear on the Icefields Parkway in Alberta, Canada this week. It appears that after punching the bear in the face he released the man's knee. To see photos of the carnage and to read a thread about it on Facebook, click here. To read a blog about the climb and the bear, click here. To read a news article, click here. --A snowmobiler survived a full avalanche burial this week in Alaska. To read more, click here. --Dr. Liam Walsh, a 33-year-old anesthesiologist from Wasilla, Alaska has yet to be found after going skiing in Alaska's Hatcher Pass on November 22. To read more, click here. --The UIAA has just released a paper on the corrosion and stress corrosion on climbing anchors. To read the paper, click here. The concept for a new apartment complex with a ski run. 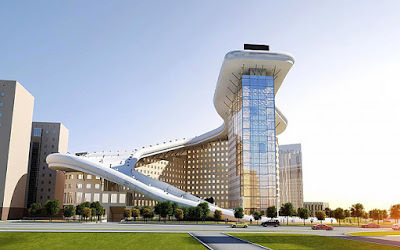 --A new apartment complex planned for Astana, Kazakhstan’s capital, is set to include a 1,000ft ski slope, running from the roof to the ground. The 21-story building will comprise shops, apartments, and an outdoor ski slope running alongside the building. To read more, click here.